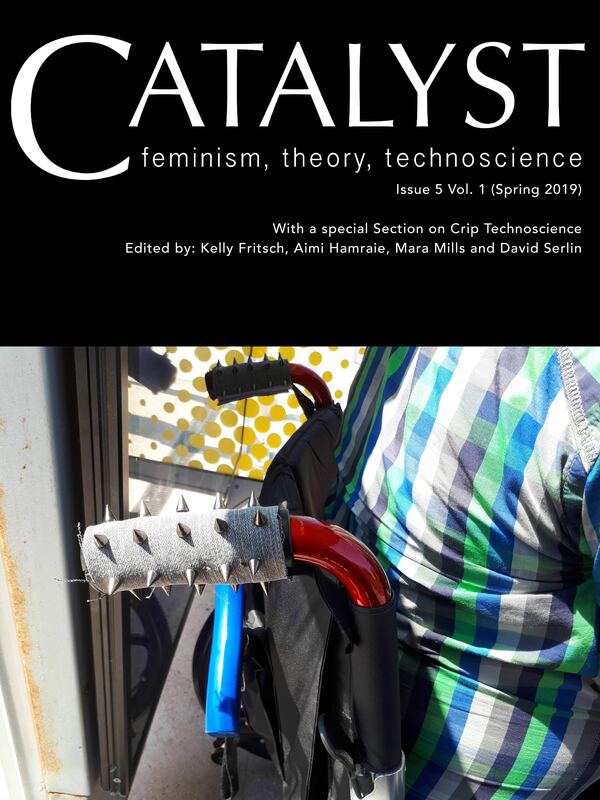 Catalyst: Feminism, Theory, and Technoscience features Crip Technoscience as a topic in recently published journal Vol 5 No 1. Edited by Kelly Fritsch, Aimi Hamraie, Mara Mills and David Serlin. With essays written by: Alice Sheppard, Alison Kafer, Alice Wong, Eunjung Kim and others. ‘I see technology not as a device or product, but as a body of knowledge (scientia) and a way of producing, developing, sharing, and accessing it (techne) that are held both individually and in community.’ – Alice Sheppard from Staging Bodies, Performing Ramps: Cultural-Aesthetic Disability Technoscience.